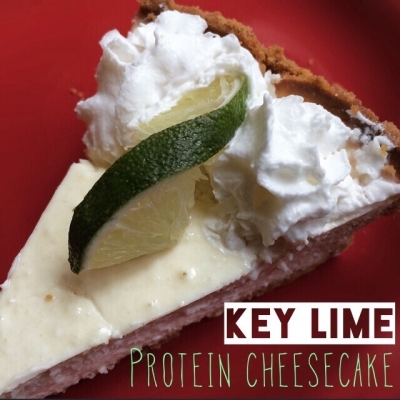 Cool off with this refreshing Key lime version of the popular protein cheesecake recipe. Use your imagination and you can create different variations with different flavored yogurts. Preheat oven to 250 degrees. Blend or process cream cheese, yogurt, eggs & egg whites, and protein powder. Pour mixture in crust and bake for 30 minutes, then increase temperature to 350 degrees and cook another 20 minutes or until the center is firm.